Tim Hortons Smile Cookie Campaign Raises $122,790 in Winnipeg. 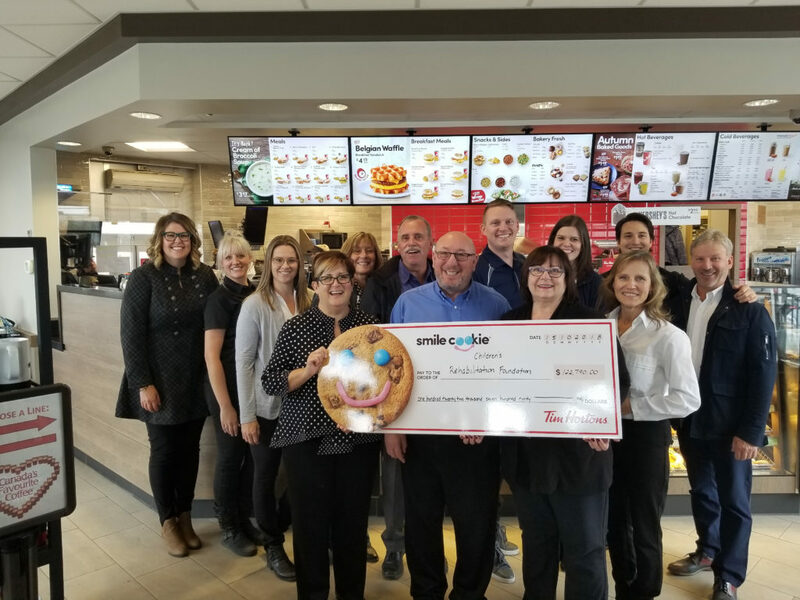 From September 17 to 23, every dollar raised from Smile Cookie sales at Winnipeg Tim Hortons was donated to Children’s Rehabilitation Foundation. This years total of $122,790 puts the total amount raised for the foundation during the past four years over $486,000. The national campaign started in 2003 and raises funds for close to 500 charities and community organizations across Canada. Thank you to everyone who placed a delivery order to thank their employees, treat their neighbours or spoil their students. With the help of dedicated volunteers and tireless work of Tim Hortons staff, the foundation delivered over eight thousand cookies during the week.